Just to be clear here, I'm not promising you a miracle. Simple Minds, circa 1982, is promising you a miracle. If it doesn't actually come to pass, I suggest inventing a time machine, going back 33 years to Scotland, and taking it up with them. There looks to be very little to say here. Gabriel is (so soon!) back in training, but is almost certainly not ready to feature; photographic evidence, however, indicates that he was on the flight to France. Tomas Rosicky has missed the last two matches through illness and did not make the trip. Jack Wilshere would be due back next, though there are fears he's had a setback. It's still three weeks for Alex Oxlade-Chamberlain, mid-April for Mathieu Debuchy and Mikel Arteta, and the third to next harvest moon for Abou Diaby. 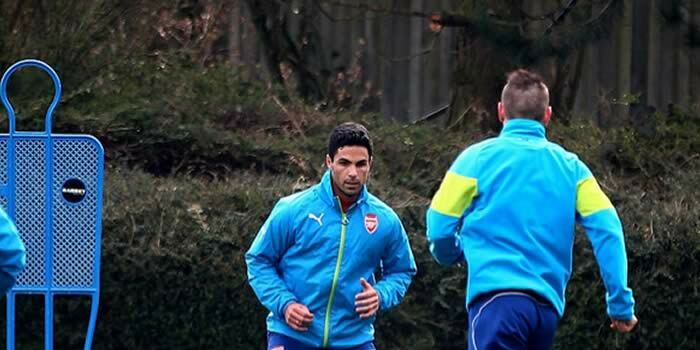 In good news, however, Debuchy and Arteta are both back in light training. After some rotation at the weekend, I would expect the two Spaniards, Hector Bellerin and Santi Cazorla, to come back into the XI. As for the right wing, it's between Theo Walcott and Danny Welbeck, and personally, I'd go with the latter. Should Arsenal somehow advance, it's worth noting that Mathieu Flamini, Nacho Monreal, and Mesut Ozil are all one booking away from accumulation bans. Predicted XI: Ospina, Bellerin, Mertesacker, Koscielny, Monreal, Coquelin, Cazorla, Ozil, Alexis, Welbeck, Giroud. Monaco train in picturesque... well, Monaco. Monaco are expected to have a stronger side available than they had at the Emirates, which is some cause of concern for Arsenal. Captain Jeremy Toulalan returns from suspension, though he missed Friday's match against Bastia. In addition, Yannick Ferreira-Carrasco and Geoffrey Kondogbia both missed that match as well, a 3-0 win against a side that finished with nine men; all three trained yesterday and should be good to go. That means Monaco has the same long term injuries; Tiemoue Bakayoko is out with a thigh problem, Andrea Raggi has a knee injury, and Lacina Traore is out with a fractured tibia. Yannick Ferreira-Carrasco, Moutinho and Layvin Kurzawa all face suspension with their next yellow card. Predicted XI: Subasic, Toure, Wallace, Abdennour, Kurzawa, Kondogbia, Toulalan, Dirar, Ferreira-Carrasco, Moutinho, Berbatov. Arsenal have won four straight on the bounce since losing the first leg, knocking Manchester United out of the FA Cup while extending their Premier League winning streak to five for the first time since the end of last season. So, that's something, right? As for Monaco, their domestic blip has continued in spite of their first leg success. The weekend following their win in London, Monaco drew with Paris St. Germain, 0-0. If PSG couldn't score at Monaco, then who can? A week later, the sides met again in the Coupe de France quarterfinals; the Paris side ran out 2-0 winners. 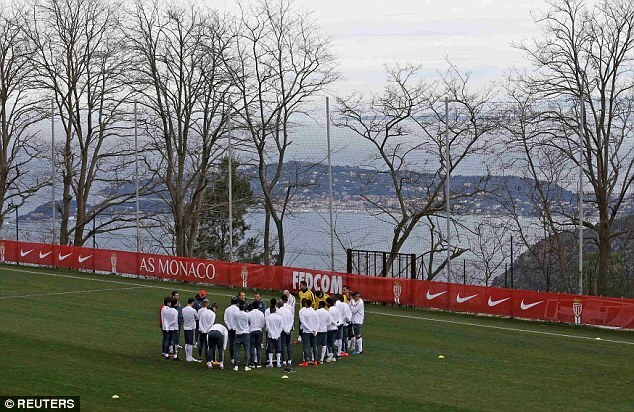 Monaco followed that up with league wins over Evian and Bastia. Monaco are currently fourth in Ligue 1, eight points behind first place Lyon. Of course, in France, fourth is not good enough for Champions League football. Now eliminated from both domestic cups and eight points out of first, the Champions League might be Monaco's last shot at silverware this year. was long decided by this point. For the fourth consecutive season, we're sitting here talking about Arsenal overcoming a large deficit in the Round of 16's second leg. In 2012, they lost 4-0 at Milan before storming back to win 3-0 at the Emirates. In 2013, they lost 3-1 at home to Bayern before winning 2-0 in Germany and bowing out on away goals. Last year, on ten men, they fell 2-0 at home to Bayern and could only scrape a draw at the Allianz, bowing out 3-1 on aggregate. Here we are again, two goals down in the aggregate with three away goals allowed. Like clockwork. So, as in years past, I'm going to spend this section writing about Arsenal's (poor) history at overturning deficits. Since 2003/04, when the Champions League switched to the 16-team knockout phase set-up, Arsenal have lost the first match of a two-legged tie eight times, including, as mentioned above, their last four first legs. Among the previous seven occurrences (i.e. prior to this season,) Arsenal came from behind to win the tie only once, against Porto in 2010, thanks to a 5-0 second leg win at the Emirates in which Nicklas Bendtner had a hat trick. Interestingly, Arsenal have gone on to win the second leg match but not the tie as a whole on three occasions, including 2012 and 2013 against AC Milan and Bayern Munich, respectively, and one other time against Bayern Munich in 2005. In 2007, they drew the second leg against PSV, and in 2009 against Manchester United, well, that didn't go quite as well. Arsenal have never lost in France, however; they've won seven and drawn three on ten trips. But, as you know, it's more than just a win that they need to advance. The Norwegian Michael Oliver. I hope. The match officials are from Norway; the referee is Svein Oddvar Moen. Moen took charge of Arsenal's second leg of this round last year as well, as the Gunners drew 1-1 in Munich. Previously, Moen was the referee for Arsenal and Bayern's first leg encounter at the Emirates in 2013, which Bayern won 3-1. That is the only time Arsenal have lost with the Norwegian referee; they previously won matches over Shakhtar Donetsk 5-1 and Olympiacos 3-1 with Moen in the middle. This will be the first time Moen has taken charge of a Monaco match; in the Champions League, French sides in general have a record of no wins, two losses, and one draw with Moen as referee. Paris St. Germain defeated Chelsea, 3-3 on away goals. Real Madrid defeated Schalke, 5-4 on aggregate. Bayern Munich defeated Shakhtar Donetsk, 7-0 on aggregate. Porto defeated Basel, 5-1 on aggregate. John Painting is a contributing writer to the Modern Gooner and captain of industry. You can follow him on Twitter @zorrocat for interesting stuff and things.